Vice President Joe Biden added yet another gaffe to his growing list Wednesday night when he referred to a young girl’s coming of age as a “snake in the bed.” Biden made the comments at a fundraiser for the Volunteer Lawyers Project, which is co-chaired by his daughter Kathleen. He spoke of the wonders of having granddaughters: “All you women out there: Daughters are wonderful. Granddaughters are better.” He lamented, though, that they grow up. “When they’re 12 to 14, a dad puts his beautiful little daughter to bed. 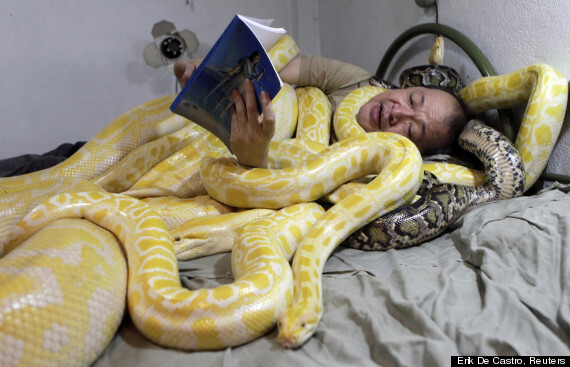 And then the next morning, there’s a snake in the bed,” Biden said, according to pool reporters. Twitter comments abounded following the gaffe, consisting of eye-rolls and expressions of confusion about what was even meant by the remark. Perhaps our uncouth vice president was attempting to transport the snake from the phrase “snake in the grass” into a more appropriate environment. At any rate, what came out of his mouth was more inappropriate than not.